Let’s talk Marketing version 2.0! 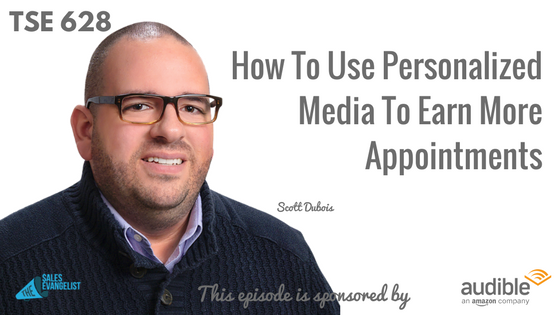 Today’s guest is Scott Dubois and he shares specifically about how you can utilize personalized media in sales to grab the attention of your prospects. 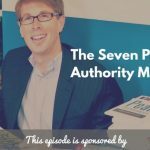 Especially if you’re doing account based marketing, listen to this episode and learn things you probably have never thought of before. 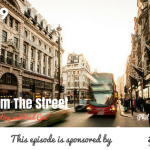 Scott is the Co-Founder of Pidalia, a digital marketing agency, which he describes as an intersection between Madison Ave. and Silicon Valley. It’s certainly more than that. It could be based on things like changing photography based upon gender or changing the color or font size based upon age. These are the simple things that make it seem more relatable and tangible in a way that the offer presented makes sense for the intended audience. Understand what moves the needle for your audience whether be it eCommerce, traditional retail, or whatnot. For B2B, you need to understand like industry, vertical market applications, etc. Make sure you have that underlying data structure to support your business. Plan out how it’s going to happen. How are you going to move the needle? In B2B, this could mean pulling dynamic case studies or email outreach campaign. You need to pull in the right case studies for the right vertical market so it resonates to the person. Make sure what you’re doing actually works. It really doesn’t cost that much unless you’re trying to scale. For example, there are tons of great sites that provide free images such as Pexels free stock photography. On day 1, they send a package to the client. On day 2, they send a follow up email. Within those three days between the day they sent the package and the day they’re going to call the client, they buy Facebook and Instagram advertising, a 90-second video that has been shot to target employees of that company (you’re not going to see it if you’re not an employee of that company). They would then ask the employee for help to remind the client about the call. Do A/B testing. Compare things out. Do A/B testing to prove the theory. If you think something can work, try to test it. Take a sub-segment and try something out. Do a personalized email by writing something specifically for them instead of being part of a larger campaign. Create a landing page specific for the person you’re reaching out to. This won’t take tremendous amount of time or dollars to do this. Go back and look at your history. Past history is a gold mine. Profile your customers and figure out the point when they became customers and how you closed that sale. This is going to be your first iteration of what that personalized journey should look like for your sales team. Get connected with Scott Dubois on www.Pidalia.com/TSE.